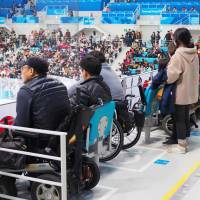 While the games can potentially leave a legacy aimed at a more inclusive country, Ryoji Hoshika, an associate professor at the University of Tokyo, said that although well-intentioned, society often takes a stance of helping people with disabilities more out of pity than respect. “If you just call on people to help out of pity, this just reinforces the concept of ‘the side who does something for someone’ and ‘the side for whom something is done,’ ” said Hoshika, who is visually impaired. He has helped create an education program for the Cabinet Secretariat that promotes a barrier-free society, while schools and businesses are promoting awareness of the issue. But experts say that instead of showing acts of “kindness” toward people with disabilities, their natural rights to live unimpeded and with respect should be protected. “It’s important that a change of thinking happens in which disabilities are not seen individually but from the standpoint of society,” Hoshika said. 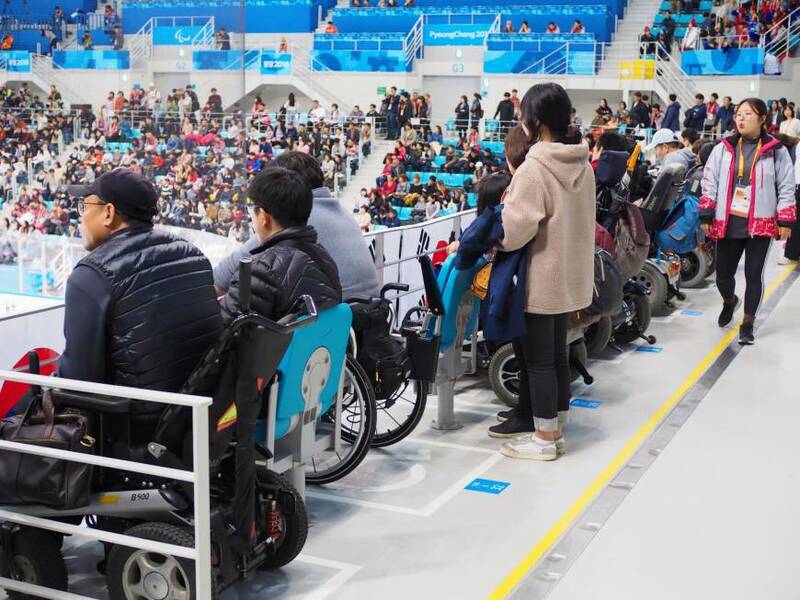 Now that the 2018 Pyeongchang Winter Paralympics have finished, and public awareness is higher, Japan will start in earnest a campaign to make the country more accessible for people with disabilities, focusing on “heartfelt barrier-free education” as the 2020 Games approach. Lee Woo-chan, a 10-year-old from Seoul who went with his family to watch the Alpine skiing competition in last month’s Paralympics, was impressed with what he saw. “I thought the athletes with disabilities were amazing,” he said. Hoshika, who also teaches accessibility in business seminars, said one of the big obstacles for people with disabilities is that able-bodied people have little experience of the same kind of inconvenience they face each day. There are simulations such as having able-bodied people ride in wheelchairs or put on blindfolds, the purpose of which is to help people better understand the situations faced by people with disabilities. But because so much emphasis is placed on how they struggle, there is a danger of hampering understanding of their situations instead of improving them, Hoshika said. In April 2016, a new law aimed at advancing the rights of people with disabilities took effect, explicitly banning discrimination against them and requiring that government bodies and private-sector businesses pay greater attention to their needs. While experts point out the law’s shortcomings, the city of Akashi, Hyogo Prefecture, has established a pioneering ordinance. One of its main characteristics is not just showing compassion but making actual improvements to facilities. The city has received subsidies for measures such as providing Braille menus in restaurants and installing ramps and railings. “It is the responsibility of society to make it easier for people with disabilities to live. It is time we change what is considered to be ‘natural’ in society,” said Akashi Mayor Fusaho Izumi.